Are you having trouble finding the perfect rug for your space? Maybe you have a particular color scheme or size in mind, and everything you’ve seen just isn’t quite right? Designing a custom carpet for your space could be just the ticket. 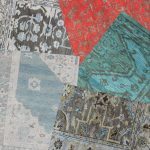 Keivan Woven Arts is proud to offer one of the most diverse and richly unique collections of custom carpets available. 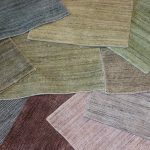 Custom carpets are ideal for spaces that require specific design aesthetics, color schemes, and sizing. With a variety of sizing and color options, one is sure to find the perfect piece to complement any interior. 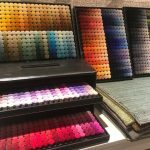 Read on for more information about the process of designing a carpet from one of our custom collections. 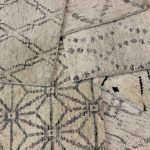 *And click here to learn about the more complex process of designing a custom rug from an Antique Reproduction carpet. 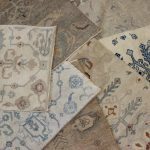 The first step in ordering a custom rug for your home or office is to choose a design. We offer 16 different custom collections to choose from, and each features its own unique design. These include everything from traditional and transitional to modern and contemporary. Intricate patterns include geometric, concentric, streamlined, and diamond lattice-work, among others. 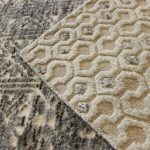 Additionally, with a wide range of affordable pricing options, the collections feature rugs with varying degrees of pile, texture and thickness. 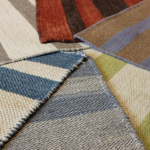 Click here to read more about pile and rug thickness to determine what would be best for you. Peruse our collections online here, or come visit us in our three-story showroom and we’ll show you some samples from each collection. This will ensure you’re making the right choice for your space. 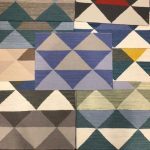 When it comes to color options, Keivan Woven Arts offers over 1,600 different hues and shades to customize your rug. 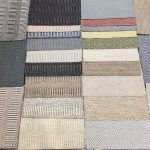 Many of our collections feature a wide variety of pre-set colorways that have been chosen by professionals. 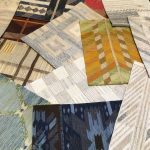 You’re free to use these colorways in your custom rug, or treat them as a baseline while experimenting with different tones. Next, choose the dimensions for your rug. 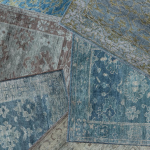 Our collections are available in all standard rug sizes, and most of them can accommodate dimensions of up to 15′ wide. 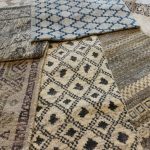 Depending on the size, design, and whether or not you selected a colorway, custom rugs typically take anywhere between 6 and 20 weeks to produce. Once your custom rug is finished, place it in your home on top of a rug pad. 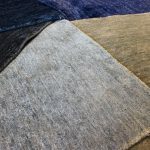 Rug pads are important because, not only will they prevent slips and provide extra padding, they may even extend the life of your new rug by cutting down on the friction between the bottom of your rug and your floor. 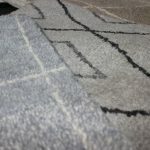 Once you place your rug pad and rug, sit back, relax, and enjoy the custom creation you so expertly designed! Click the images above to learn more about each collection. Leave your questions about custom rugs in the comments below. 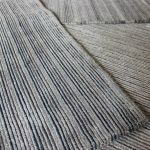 And click here to browse the custom rug offerings on our website.